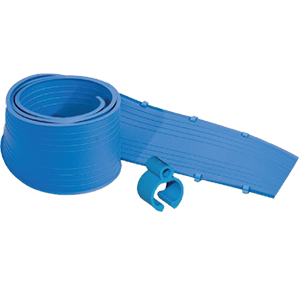 WaterStop is a specially formulated Polyvinyl Chloride (PVC) compound. Flexible, resilient, tough, chemically inert, is not affected by weathering, low temperatures, or constant immersion in water. It will withstand rough treatment during installation, yet is relatively easy to install and splice. Unitech WaterStop is unaffected by concrete additives and most water solutions of organic chemicals. It has the ability to accommodate joint movements and at the same time prevent water passage through the joints. 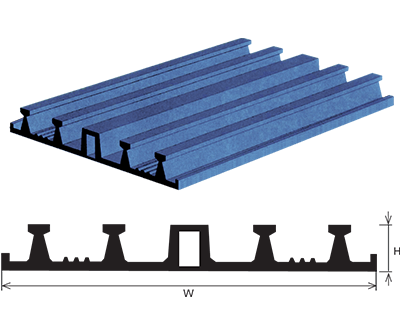 WaterStop is designed for use in any concrete structure which contains joints and is subjected to a hydrostatic load on one face of the structure. It prevents water movement through concrete joints in water reservoirs, canals, dams, sewage treatment plants, bridges, stadiums, basements, floor slabs, parking garages, and similar structures. UNITECH WaterStop is unaffected by alkalis, acids, hydrocarbons, oxidation, sewerage, and most water solutions of organic chemicals. It is extremely resistant to abrasion, corrosion, and aging. For physical properties see Table. a- Waterstops clips and binding wire with a spacing of approximately 30 cm. b- Factory-installed brass lugs and binding wire. Stabilized construction joint waterstops with round steel embedded in the waterstop every 10 cm or external round steel clips at about the same spacing offer significant advantages during installation. The latter make the use of waterstop clips superfluous. External waterstops are to be placed on the sub-base or to be fixed on the formwork before the rebars are installed. Despite careful storage, attention shall be paid to the waterstops being free from any soiling during installation. 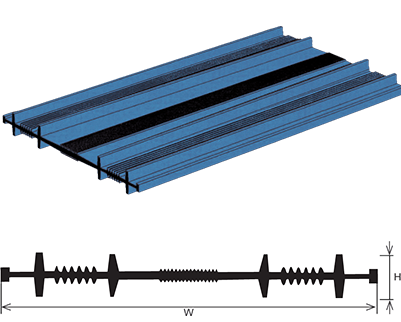 During installation, there is a risk of the waterstops being damaged by contact with sharp edges of the rebars. Before placing the concrete, the waterstops shall be checked once again for cleanliness and proper installation, i.e. 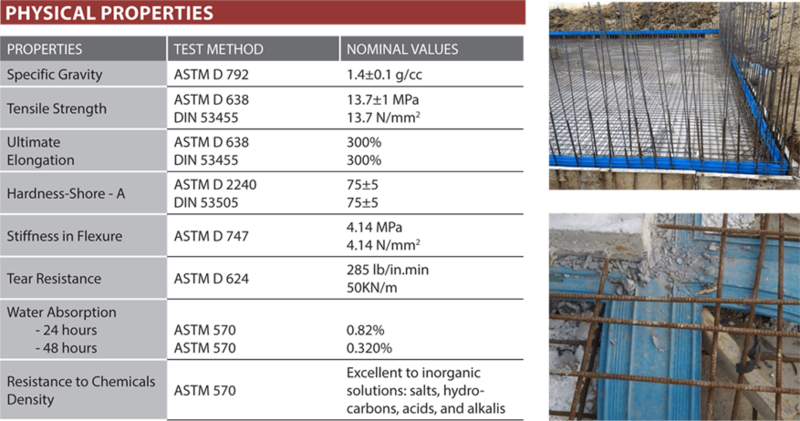 - Distance from the rebars. It is advisable to fix the waterstop in place with a preliminary layer of concrete. During compaction, the vibrating head shall not come into contact with the waterstop. When removing the formwork it is of prime importance that the waterstop is neither damaged nor loosened or detached from the fresh concrete. This is especially important for external waterstops. If-in spite of all cautionary measures - the waterstop is still found to be defective areas shall be marked and immediately repaired in an appropriate way. External waterstops shall be secured in place before backfilling the working space. During prolonged interruptions of the construction work, the waterstops shall be protected against any external influence. This protection can be achieved by covering up the waterstops with a formwork box. Two main types of profiles are available. Unitech Centerstop for centrally placed applications and Unitech Outerstop for externally placed applications. These profiles are available in rolls with separate intersections supplied to simplify and minimise on-site fabrication. Center ribbed type with center bulb waterstop profiles are fixed generally on the middle of the slab or wall joint of the concrete structure. This profile provides a barrier to water trying either to enter or leave the structure. The central bulb enables it to be used in joints where movement may occur. It can be used in horizontal and vertical applications for expansion, construction joints. The bulb works with both lateral and transverse movement, and the ribs provide better water tight sealing than do non-ribbed types. This type is designed for horizontal and vertical construction joints where an economical and easy to install product is required. 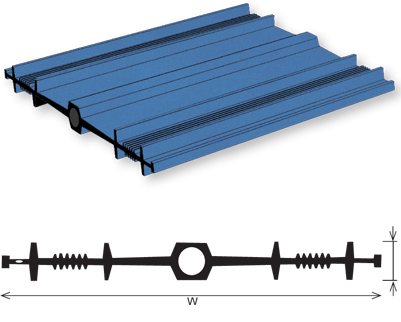 Externally placed profiles are designed for use in floor and basement areas in horizontal and vertical joints. 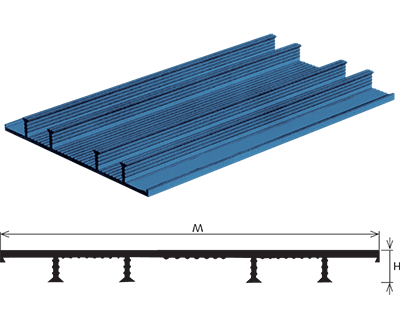 UBI Outerstop profiles are located on the external face to the concrete. The specially designed keys enable compaction to be obtained around the waterstop, bonding the concrete and waterstop together forming a positive water barrier. For use in expansion, construction and contraction joints, the flat top bulb section allows support for any joint filler and allows for any movement in the structure. The bottom of the bulb has a “V” shaped notch so that should the joint open beyond the capacity of the PVC bulb, the bottom of it will tear along the notch and permit the bulb to open whilst still maintaining the water barrier. 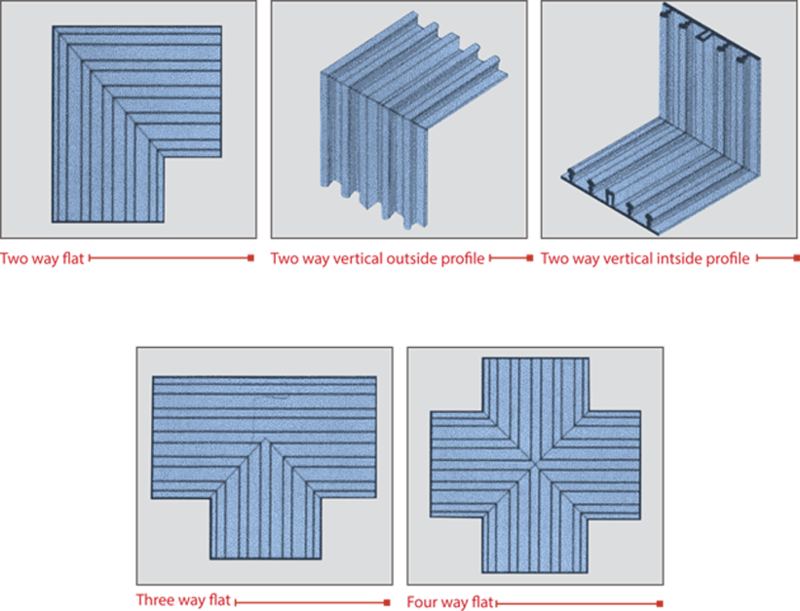 A range or prefabricated intersections, both standard and specials are available for each UBI profile. These are factory made and are usually very difficult to make in the field. By using factory-made intersections, the contractor has to only make straight joining welds on site. The standard leg length is 250mm. Factory welded units to suit lift pits, etc. are also available. Intersection Pieces A range of intersection pieces is available for each profile. The standard leg is 250mm.